America's top earning business head, Motorola's co-CEO is India-born Sanjay Jha, who got a package of $104 million in 2008. In comparison, India's top-paid business chief, Mukesh Ambani of Reliance Industries, got a total remuneration of Rs 44.02 crore (Rs 440.2 million) in 2007-08, the last fiscal year for which the salary data is available. Ray Irani comes second among the top paid CEOs. 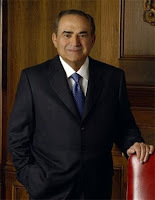 Irani has been chairman and CEO of Occidental since 1990. He was chief operating officer from 1984 to 1990. He was chairman of the Board of Directors of Nexen Inc. from 1987 to 1999. 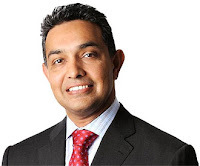 He is also a director of Wynn Resorts, Limited and TCW Group. Walt Disney's CEO Robert Iger ($49.7 million) at the third position. Iger is the sixth CEO in The Walt Disney Company's 82-year history. 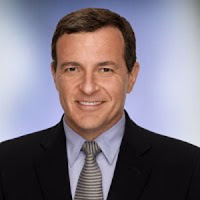 Iger has also served as president and chief operating officer of The Walt Disney Company since June 2000. Iger is also became a member of Disney's board of directors at this time. 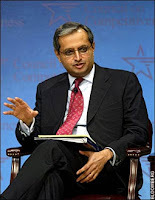 India-born Vikram Pandit is the 4th highest paid CEO with a total compensation of $38.22 million. With a total salary package of $36.36 million, Louis C Camilleri is the 6th highest paid CEO in the US. 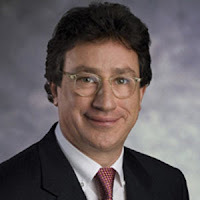 He has also served as Altria's senior vice president and chief financial officer since November 1996.